Looking for a great side dish to serve alongside your Asian-inspired meal? 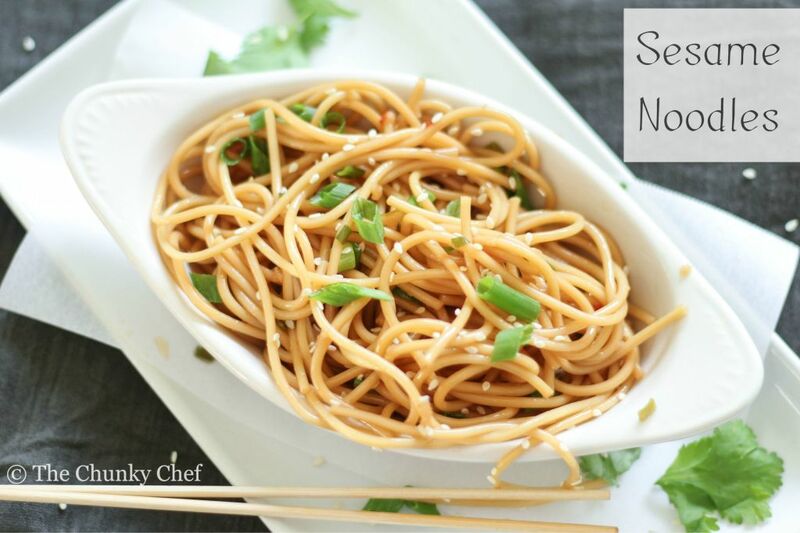 Look no further than these sesame noodles! They are unbelievably simple. The may not look like they’re all that flavorful, but whoa… they sure are packed with flavors! These sesame noodles can be served warm or cold, so there’s no mad rush to get them on the dinner table while they’re screaming hot. That’s a big plus when you’re trying to get a multi-course meal on the table, with all the courses finishing at the same time. I think we all know how stressful that can be right? Especially when one or more of the courses involve recipes you haven’t made before. Ughhh I can’t even tell you the number of times I’ve been completely stressed about that same thing. Heck, I even get stressed sometimes when all the recipes are ones I’ve made so many times I don’t even need to look at the recipe. So yeah, you’re sooooo not alone. 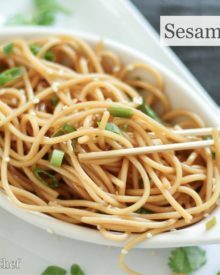 These sesame noodles are a very light side dish, but you could easily add some chicken, tofu, edamame or another protein you like, to make it a more complete dish. Surprisingly enough, these taste even better the next day, as if that’s even possible! 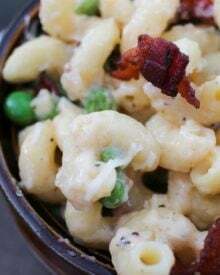 I think these are my new favorite noodle side dish, not only for all the reasons I’ve already listed, but for the simple fact that they are made with regular ol’ spaghetti. No need to buy any special noodles that you probably don’t already have 🙂 Maybe my palate is just underdeveloped, but I’ve tried several of the other specialty noodles (soba, buckwheat, etc), and I’m honestly not a fan. For me, the flavor just isn’t as good. 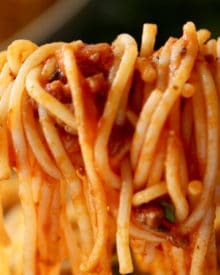 Not to mention, spaghetti is cheaper to buy… saving money is always a plus in my book! 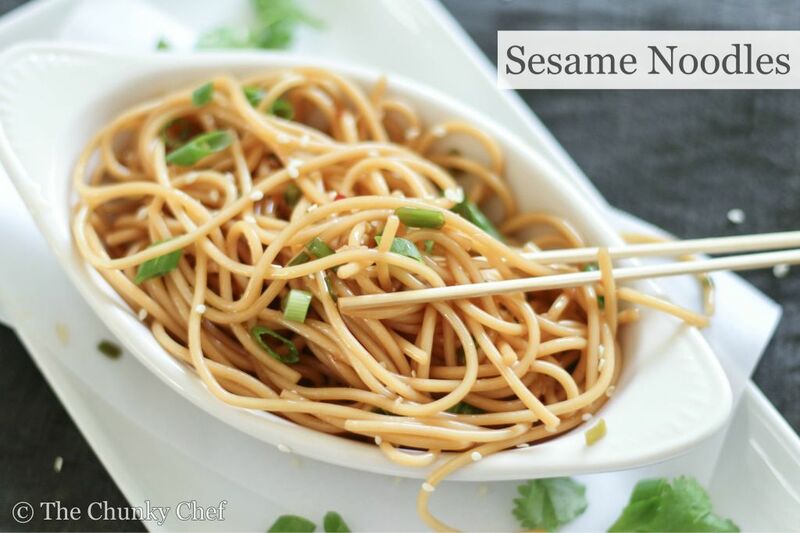 These simple and flavorful sesame noodles are amazing!! Perfect hot or cold, they are as versatile as they are tasty! 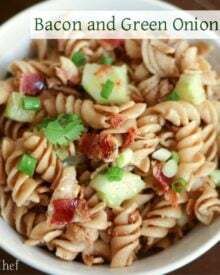 Sprinkle with green onions and sesame seeds and toss. This is not your new favour noddle side dish, it is going to become mine as well, but I need to make it first to be sure about judgement. It looks tasty the way recipe is given. This weekend is going to have my attention to this sesame noodles. I’m loving it.